Rachel Notley and her government inherited a tough economic hand when she won the 2015 election. Yet Notley knew Alberta’s economic future would not be built by chasing the past. From day one, she has used tough advocacy to get products to market, empowered Alberta’s energy sector to get through difficult times, while working towards a more prosperous future through diversification right here in the province. The intensity of the TMX battle picked up over the past year, escalating when the BC government blocking pipeline development with a blockade of diluted bitumen and a court injunction. Premier Notley declared the Wine War, banning BC wine from Alberta markets. 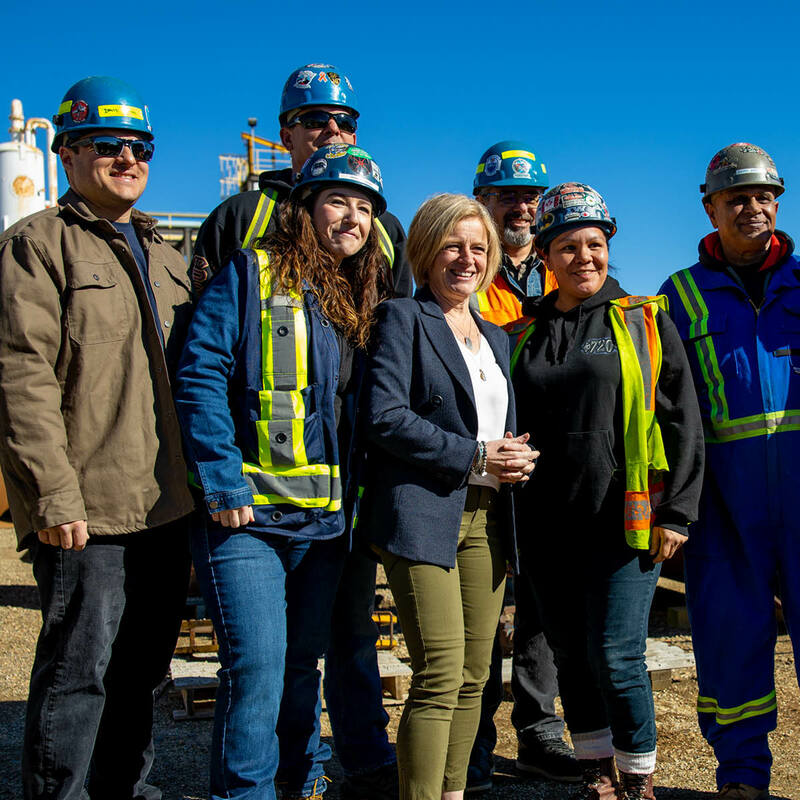 In addition to battling the BC government, Notley has travelled across Canada to convince government and business leaders of the importance of the pipeline and getting Alberta oil to market. Today, Canadians are more on side than ever to build the TMX pipeline. While Notley has been fighting to get Alberta’s oil to market, she's also implemented strategies to retain the value of Alberta oil and increase the pressure to get a pipeline built. After widely consulting with industry, economists and strategists, Notley implemented a curtailment strategy, reducing the production of oil in Alberta and saving jobs across the province. And the strategy worked. The Made in Alberta strategy is so successful it’s a key component of Notley’s plan for future economic development. Notley knows small business makes a big impact on the Alberta economy. That's why she cut the small business tax by a third, restored training programs cut by previous governments, provided new startup loans, and created new tax credits. She improved entrepreneurs ability to get products from testing to marketing by funding a tech development program. Today, Alberta entrepreneurs have the resources they need to keep building Alberta. Notley has built Alberta’s economy to be future-ready. Key investments have signalled to private sector investors and entrepreneurs that Alberta is the place to invest. Notley created 4000 post-secondary seats dedicated to the high tech sector and invested $100 million in artificial intelligence and high tech. The strategy means thousands of new jobs, 140 new companies and new multi-national offices, as well as increased productivity for at least 150 Alberta businesses. Notley is creating an economy more adaptable and ready for the future.